The Perfect Sculpt offers the latest in waist training and body shaping garments and accessories. The success of The Perfect Sculpt is what many ecommerce entrepreneurs aspire to achieve. The team behind the brand, Social Cadre, were able to successfully identify an underserved market niche, develop high quality products to meet the demand and then bring those products to market using the very latest approaches to customer acquisition. The Perfect Sculpt partnered with Okendo to help drive the conversion of store traffic from key social channels such as Facebook and Instagram. The Perfect Sculpt team are pioneers of ecommerce and digital strategy. As early adopters of social media and influencer marketing, the team have continually developed new strategies and tactics to reach their target audience and drive qualified social traffic to their store. Recent collaborations with some of the industry’s biggest influencers such as Jennifer Selter, Demi Rose Mawby and Coco meant The Perfect Sculpt were driving more traffic to their online store than ever before. 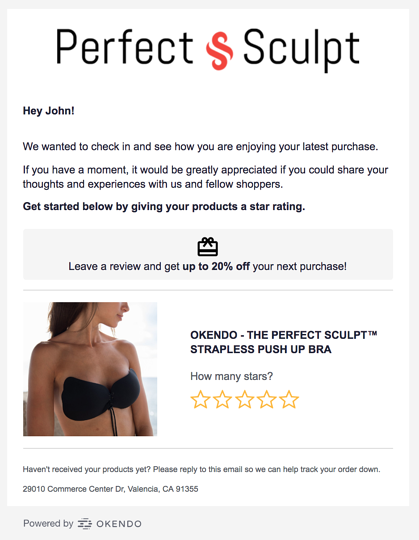 The Perfect Sculpt chose Okendo to power their customer reviews program on the basis of several key factors. The first of these was Okendo’s proven track record working high volume Shopify Plus merchants. “In considering any new technology provider, we always first ensure that they have the capability to support a high volume operation like ours. One of the ways we assess this capability is by considering the experience of other high volume retailers who are also utilising the platform. 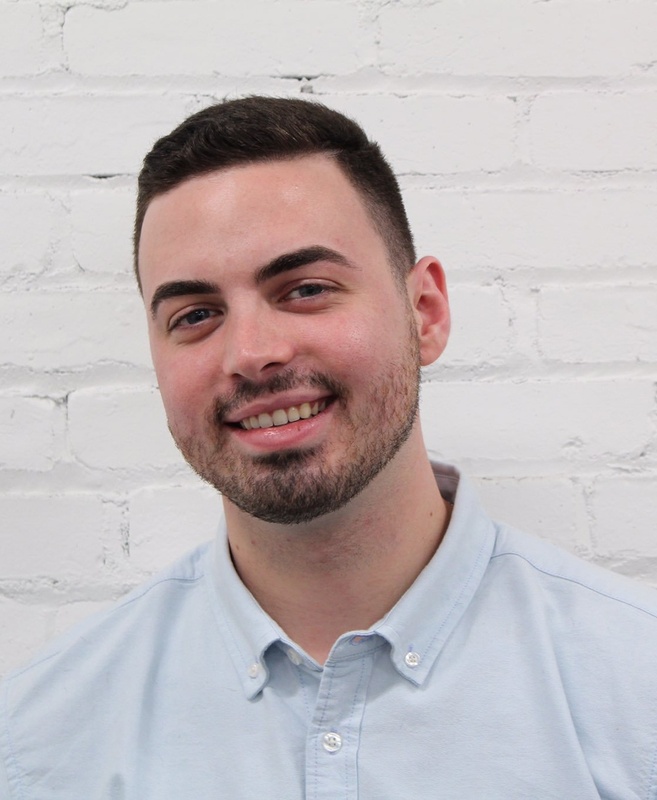 We were pleased to see Okendo counts many other notable, high-volume Shopify Plus retailers as customers and these retailers could vouch for Okendo’s enterprise level capabilities”, explained Matt. The next factor in Perfect Sculpts decision to partner with Okendo was features and functionalities. In this area, it was a combination of Okendo’s mobile first approach to review capture, the amount of content and insights customers could provide with their review and the elegant design of the on-site review widgets which set Okendo apart from the competition. In Matt’s words, “We are hyper-focused on ensuring we provide a shopping experience that is optimized for mobile. Many of our customers discover our products when viewing the Instagram mobile app so we need to ensure that the journey from product discovery to check-out and then to review submission is as frictionless as possible. We had experience with another review platform which captured reviews using a form in an email. This approach simply didn’t work for our mobile first customers as the form wouldn’t load on Android devices and would throw security warnings on iOS. Okendo has an excellent approach to review capture that ensures the process is seamless for all of our customers”. ”We carefully evaluated the pricing and features of other platforms and it was clear not only did Okendo provide all the functionality but their subscription terms were far more reasonable. We had vendors quoting us $10,000 - $20,000 on an annual contract that required upfront payment. This seemed totally crazy given that Okendo can provide everything we need for a fraction of that price - and pay monthly!"